‘Tis the season for craft fairs … well, we know craft fairs take place all year round but with the focus now on Christmas sales there will be a surge in the number of craft events taking place – from local fairs to large scale craft shows. And if you are a crafty person with exhibition space booked at events over the next few months then we have come up with 10 display ideas to help your stand showcase your talents and products in the best way possible. A pull up roller banner is a great, cost-effective way to show who you are and what you do. They are easy to use and very lightweight so easy to transport to and from events. 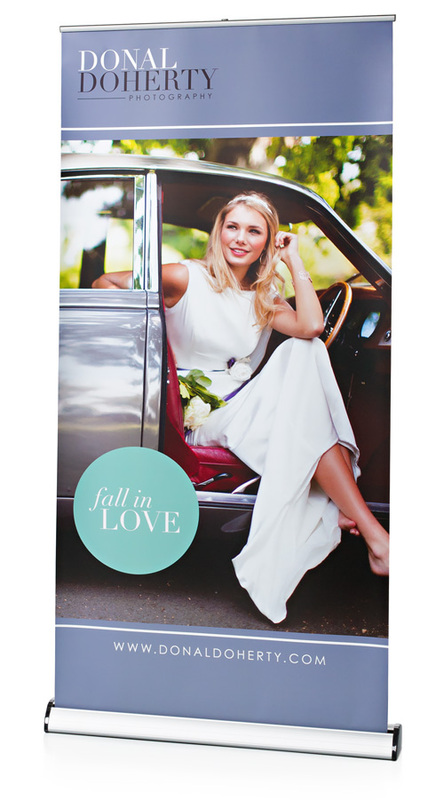 With artwork printed over the whole banner stand it provides a visually stunning and eye-catching display stand. We offer a whole range of roller banner stands, with prices starting at just £49 for our Grasshopper banner. You can provide your own artwork which will be checked before going to print. Or, if you do not have artwork, we offer a graphic design service and can create your roller banner for you. At a craft show you are often provided with a table as part of your stand space. However, if you exhibit regularly then it is worthwhile investing in your own table which you can take to each event. This way, you know the table will be fit for purpose – no having to prop up a wobbly leg with a folded business card! And you will always know the exact size of the table you have so can plan your display accordingly. Our folding exhibition tableis 6ft wide but is lightweight and folds in half for easy transportation and storage – ideal for taking to multiple events. At only £51 it is a cost-effective investment for your craft business. One of the simplest ways to add a touch of class and style to your craft display stand is with a tablecloth. It provides a great base for your stand and as it is plain in colour will not detract from your products on show. We offer exhibition table cloths which are printed with your logo on the front and fit the kind of trestle tables which are provided at events. Available in a range of colours, and starting at only £52, a branded table cloth is a must for your display kit. If you want to invest in a folding table and table cloth, we offer a bundle deal for both for only £98 – a saving of 5% on buying the items separately. A folding display board is a versatile piece of display equipment – it can be used again and again for a variety of uses. We offer a wide range of display boards – table top, floor standing, PVC frame, aluminium frame, pinnable – in a choice of colours and configurations. Each display board panel is covered in luxury loop nylon fabric and you can use Velcro to attach your display materials. So, for example, if you make greetings cards you could have a table top display board and attach examples of your cards to it. Or if you are an artist or photographer you can fix examples of your work to the boards. One side of the boards has a recess so that materials fit flush within the frame which means you do not have to remove them when you fold up the board at the end of the show – this means the board is ready to use again and saves time on packing away. All of our display boards are lightweight and come with a carry bag. To enhance your display board you could add a spotlight which fixes to the top of the frame and will help illuminate your items on display. Often there is not enough light at craft shows so this will help show your wares off in the best possible way. A great option for product display is a display plinth. Our Round Display Plinths, for example, can be used for showcasing a main product. If you are a baker you could use a plinth to display a show-stopping cake, or if you are a sculptor use a plinth to display one of your bigger creations. Our display podiums come in different heights and diameters. They are easy to use and assemble and have an optional printed graphic wrap for extra marketing message space. Many crafters have leaflets or brochures to give away to promote their business. Instead of just having a pile of them on your table why not consider a desktop leaflet holder to make sure they are on show and keep them neat and tidy? Our table top leaflet holders are amazing value from only £1.36 each. If you have space, a floor standing leaflet holder is a good idea. Our portable literature holders fold away into carry cases provided so are easy to transport to an event. One of our most popular is the A4 Zed Up Lite Leaflet Dispenser which is only £54, but we also offer A5 and A3 sized literature stands. In this increasingly digital world it is good to have an interactive element to your craft stall. If you have a website, perhaps have an iPad or tablet locked to your website so that customers can browse other products that you make. This would be good for artists who take commissions as you can showcase a wider body of your work. To keep an iPad safe and accessible to customers we have a wide range of iPad and tablet stands, starting at just £49. Another way to include a digital element to your craft stall is to have a monitor stand. These freestanding stands will hold a monitor which you can use to show a slideshow of your work or presentation of your ideas, ideal for artists, photographers or anyone who makes items to order. It is also ideal if you do not have space or need to take a lot of physical products to every show. An A frame sign or chalkboard is ideal for promoting any offers or deals you might be running at your craft fair. Our wooden chalkboard is perfect for this and is a popular product for craft stall holders with its rustic, traditional look. It can be used again and again with ease – when your offer changes you can simply wipe it clean and write new details on. Each wooden sign comes with a set of four chalk pens so you have everything you need to promote your business or stall deal. Among a sea of craft stalls and stands it can often be hard to be seen from a distance. To help stand out from the crowd you could have a printed flag to attract customers to your stall. A flag is usually considered an outdoor display product but with the right flag base most can be used indoors, as long as you consider the height of the exhibition hall. With a range of sizes and shapes our printed flags guarantee you will get noticed at your next event. We hope you have been inspired by some of our display product suggestions. 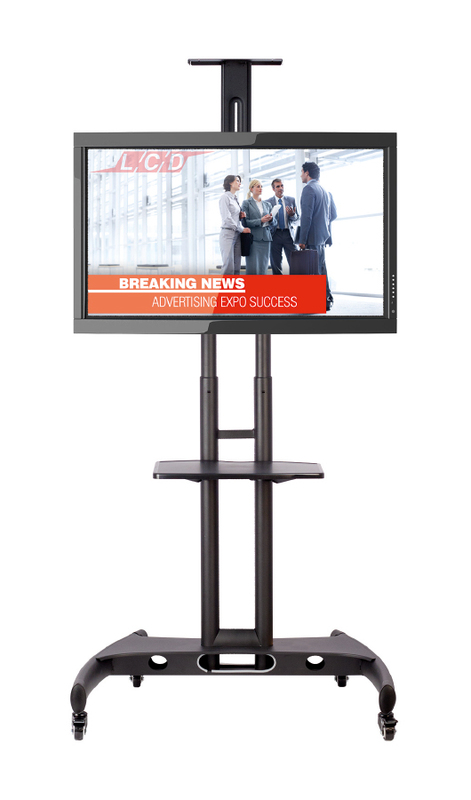 At XL Displays we are experts in portable display and events equipment and custom built exhibition stands. For more information on any of our products please contact us or call 01733 511030.